Dr. Bob Strong's GP surgery has being seeing a lot of coughs and colds recently - far more than is normal for the time of year. Bob contacts Owen Harper, an old student friend, who reluctantly agrees to look into it. Meanwhile, Toshiko and Gwen are investigating ghostly apparitions in the marshy areas of South Wales. It's been a dull month and they're just about to pack up when they discover a dead body. The Team find that there's been a massive spike in respiratory infections right across the UK. 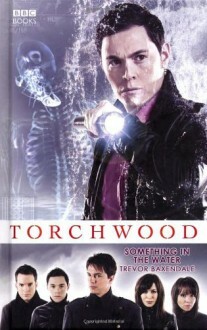 Captain Jack agrees that it's worth investigating, but at the moment his priority is Tosh and Gwen's work: they've brought the corpse back for examination. It's old, in an advanced state of decay...and still able to talk!